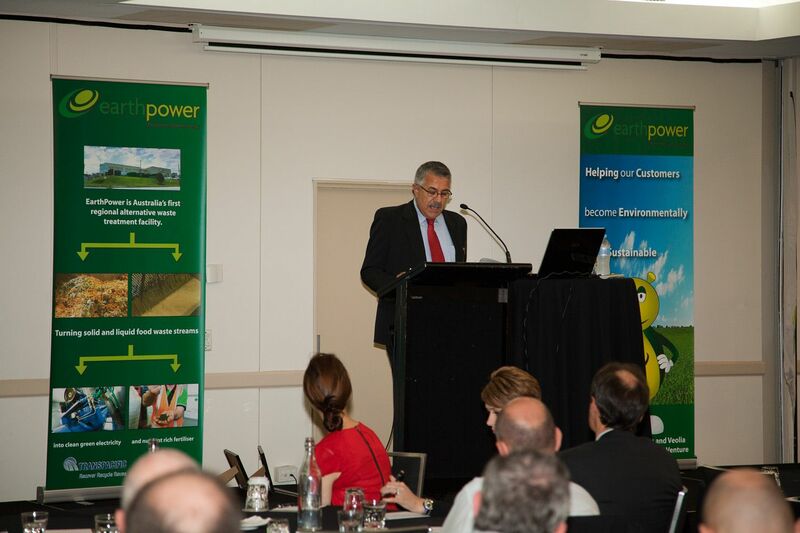 The EarthPower plant is designed to process four specific waste streams for the production of energy and nutrient rich fertilizer. 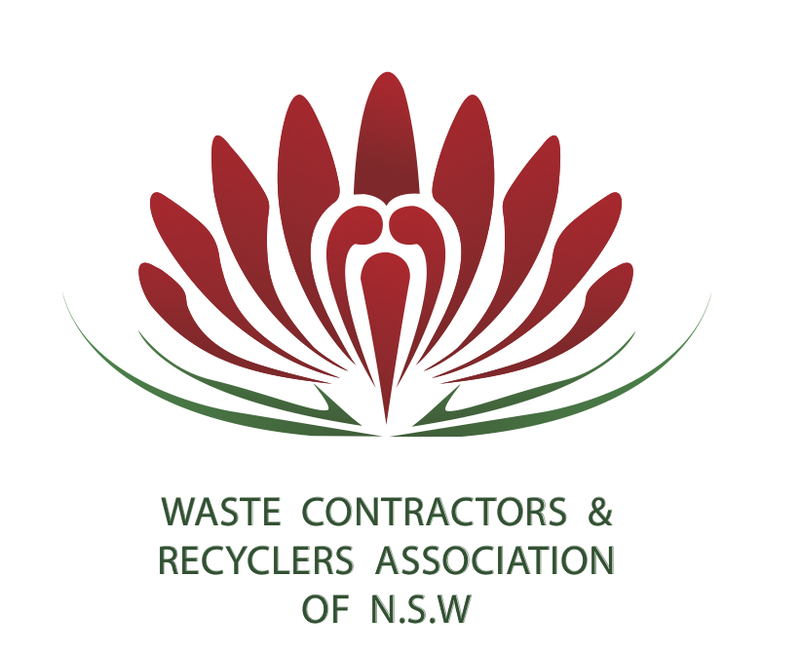 These organic waste streams include; solid organic waste with maximum inorganic contamination of less than 5%; spade-able sludge; liquid wastes; and selected packaged wastes. 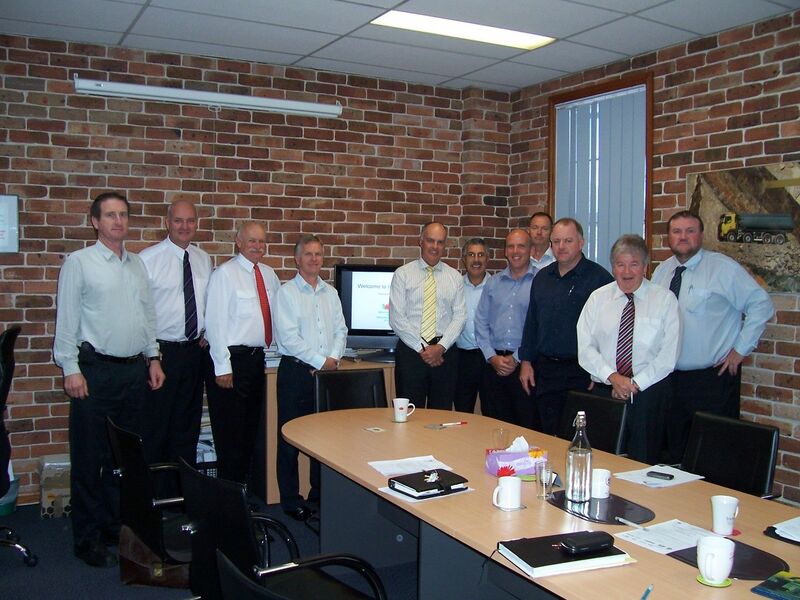 From left to right: Stewart Holmes, Mark Hughes, Harry Wilson, Glenn Horne, Ritchie Venn, Tony Khoury,Jim Perry, John Kernahan, David Harrison, Greg Turner and Glenn Gauslaa. 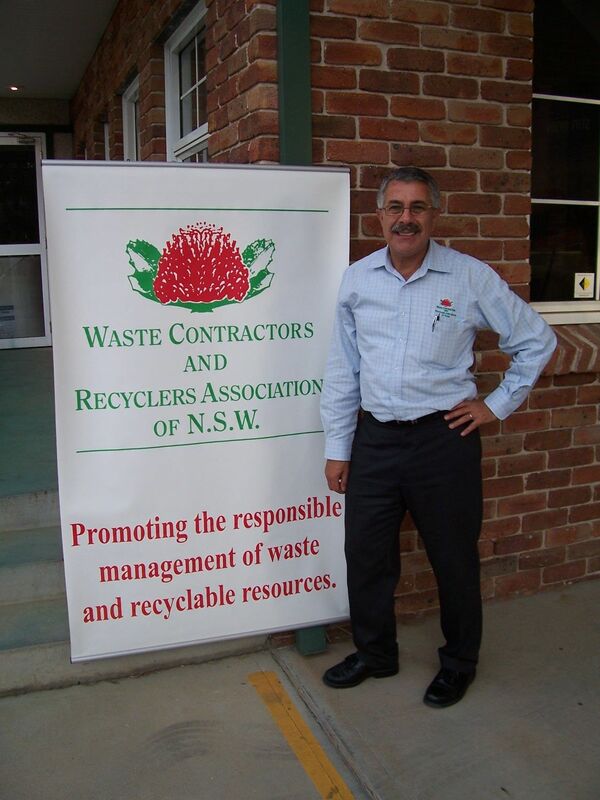 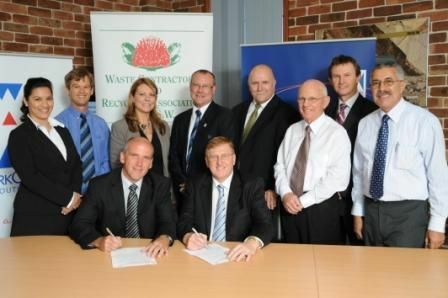 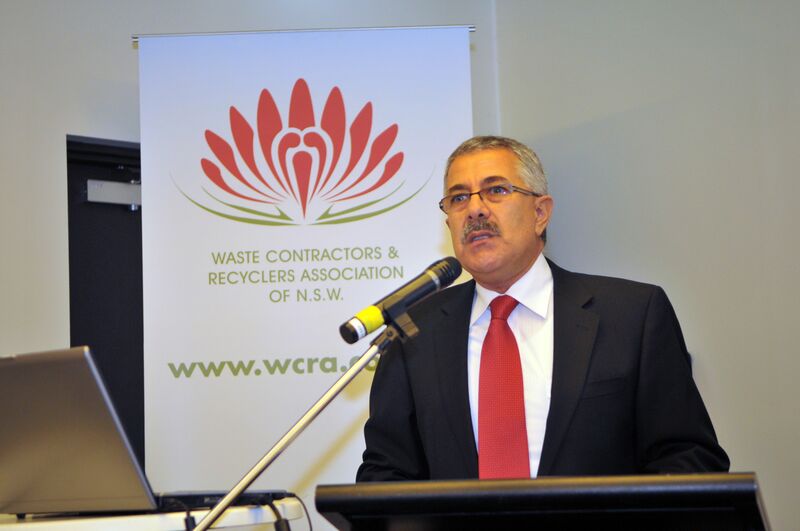 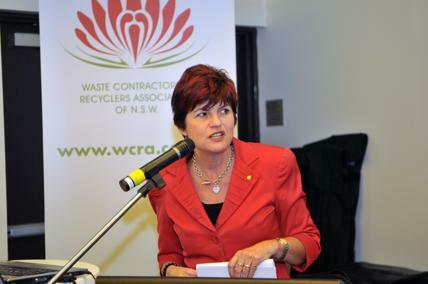 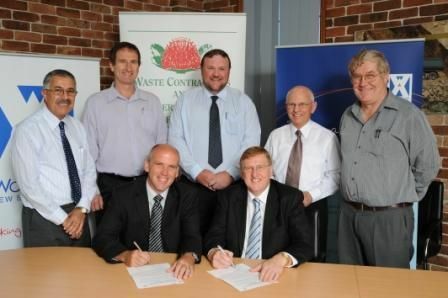 On the 8th December, 2009 WorkCover NSW launched an initiative to assist businesses in the Waste and Recycling Industry to improve OH&S outcomes.